Is It Possible to Reverse Periodontal Disease? Yes, it is possible to reverse periodontal disease. However, before you know how to treat this oral health condition, you must first know what you are facing. 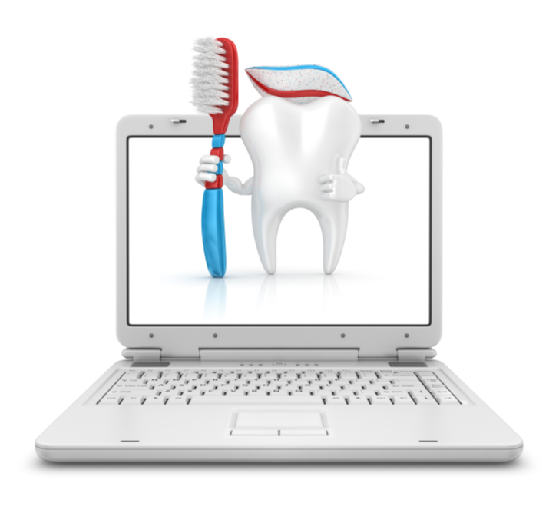 The first thing to know is that there are two types of gum disease: gingivitis and periodontitis. The most recent adult dental health survey (2009), the results of which were published by the Telegraph under the heading “Why not brushing your teeth can kill you” has shown that a staggering 83% of adults in the UK have some form of gum disease. Similar figures have been published in other countries. Woah, let’s stop right there, rewind, and play that statistic again. “83% of adults in the UK have some form of gum disease”… Really? Sadly, yes. That means the overwhelming majority of us therefore have gum disease or will suffer from it at some pont in the future. Yet for the most part we are blissfully unaware of it because it has few, if any, symptoms. A bit of bleeding, a bit of sensitivity while brushing our teeth, a bit of tenderness here and there. Nothing that exactly rings alarm bells or sends us scuttling off to the dentist or hygienist for treatment. And that is where a good part of the problem lies. Because for the most part, this insidious mostly painless condition that erodes away the foundations of the teeth and ends up with them moving about, getting loose, forming abscesses, and ultimately tooth loss, does not cause enough symptoms for us to seek treatment until it is too late, and major dental reparative work or tooth loss are inevitable. But that is only the tip of the iceberg! When we have a chronic low-grade infections like periodontal disease continuously eroding away at the tissues in our mouths, cascades of “messenger molecules” are secreted from the cells that are being affected by the infection, that alert the rest of the body to the presence of a damaging process going on somewhere in the body. 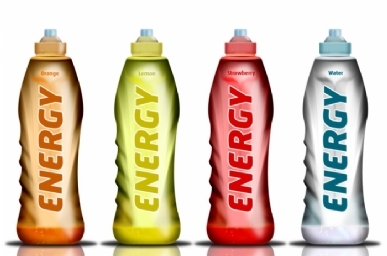 Increasingly, published papers are demonstrating that the effects on the rest of the body are far reaching, affecting our recovery from heart and other diseases, outcomes from pregnancy, and the progression of diseases such as rheumatoid arthritis, diabetes, bowel disease (including IBS, cancer, and many others,) meningitis, and even strokes and other serious life-threatening conditions. As more and more research is showing that this quietly ongoing infection of the gums has far reaching and sometimes even life-threatening effects throughout the body, we need to take it far more seriously than we currently do. Most of us would say we go and have regular dental check ups. However, as the overwhelming majority of us have been proven to have some form of gum disease, and given that the condition comes and goes with periods of activity and non-activity, one of the most important reasons for going to see your dentist and/or your hygienist regularly is not to have your teeth checked to see if you need any fillings, but most importantly, to have your gums checked to make sure that you do not have underlying gum disease affecting not only your mouth health but also your general health and compromising your immune system’s ability keep you healthy. Unfortunately, not all dentists or hygienists do periodontal examinations routinely, so when you go to your checkup please specify that you want your gums checked, and you want a print out of the results of the periodontal checkup for your records because, if you change dentist/hygienists at some time, it is always good to have these records yourself to share with your new dentist and/or hygienist, and to check yourself that the condition is not getting worse with time. You never know, but you may just be saving yourself from a major medical disaster in the future! Will Your Dentist Soon Be Able To Grow You New Teeth? Despite the advances in toothpaste, tooth care and dentistry, dental problems remain one of the most common issues facing the Western world today. Most of us have experienced teeth complications at some point in our life. Considering the important role your teeth play, many of us are ready to do whatever it takes to retain a healthy set of teeth and avoid the dreaded dentures! 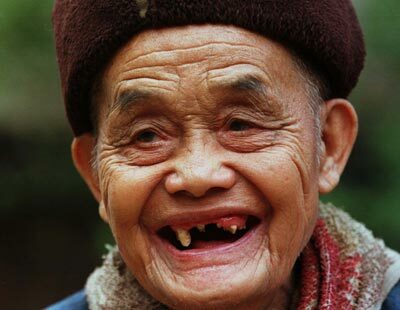 Losing a tooth is not a good experience especially when you’re fully aware that there’s no chance for a new adult tooth to grow and replace the old one. The sad fact is that many people think that having to have surgery or losing their teeth is a natural consequence of periodontitis or gum disease and only visit a periodontal expert when it’s too late. Periodontal disease and gum disease can very often be reversed, without the need for painful surgery or having to have your teeth extracted. That said, as with most diseases, the chances of a successful prognosis are best if you start your periodontal treatment services as early as possible. Recent breakthroughs in research may now mean that quite soon it could literally be possible for your dentist or a periodontal expert to grow you new teeth if yours get diseased. This would mean one day dentures could become a thing of the past! Scientists are currently working on a project, due to unveiled at the Royal Society’s Summer Science Exhibition, that could hopefully give your cells the ability to grow new teeth to replace the ones your periodontal specialist was unable to save. Of course this research is still in the very early stages but it would represent a massive advance in periodontal treatment services and the prognosis of patients in the advanced stages of periodontal disease. Scientists have discovered that for Nature to grow new teeth, two different types of cells are required: epithelial cells and mesenchymal stem cells. One cell must send a message to the other cell to start the process of creating teeth. The goal of the researchers is now to find a way to replicate this cell production. If they can do this, periodontal specialists may one day indeed be able to grow you new teeth ‘on demand’ to replace yours if they fall out. Whilst it’s not time to throw away your dentures just yet, scientists hope that they can begin growing teeth in mice within the next five years. In the past, the high costs of implants have deterred many people from replacing their lost teeth. Furthermore, implants carry the additional complication that they cannot be guaranteed to last for any significant period of time. This new research would negate all of this, making growing new teeth not only possible but affordable. Using this new approach, a periodontal specialist would be able to not only successfully treat periodontal disease in the early and chronic stages, but work towards helping their patients to grow new teeth in extremely advanced cases where bone loss is too severe to save your current teeth. Researchers have long known that shark and snake teeth are always replaced after a tooth breaks or falls out. They have also found that stem cells in adult bone marrow can produce other types of tissues—albeit only for 24 hours, so the notion of a periodontal expert being able to grow you new teeth in the future is not as far-fetched as it may sound. The goal now is to find a way of awakening the cell properties in a way that will sustain the ability to grow teeth for longer periods of time. Will your dentist or periodontal specialist soon be able to grow you a new set of teeth to replace yours when they fall out? Quite possibly, but meanwhile patients are advised to stick with the more conventional methods of treatment that your current periodontal expert will be able to advise! Gum disease is a common problem that can indicate the presence of a serious underlying infection. Latest studies have linked this disease to other serious health concerns such as stroke, diabetes, heart disease and other degenerative ailments. If you’re suffering from gum disease, be advised that the treatment is not just about how often you clean your teeth. Quickly identifying the signs of gum disease is the first step along the way to initiating treatment and finding the best gum disease treatment for you. It is important to do this as early as possible before the condition worsens. A lot of people fear gum disease because naturally the effects can be disfiguring. This can affect your confidence to smile in public, which in turn can cause some people to suffer from lower self-confidence and self-esteem. The disease causes your gums to become swollen, red and they will tend to bleed very easily. Spaces between your teeth can then develop and the ultimate fear (and eventuality, if you ignore the symptoms and leave them untreated) is that the disease will become so severe, it will eventually compel you to undergo teeth extraction. 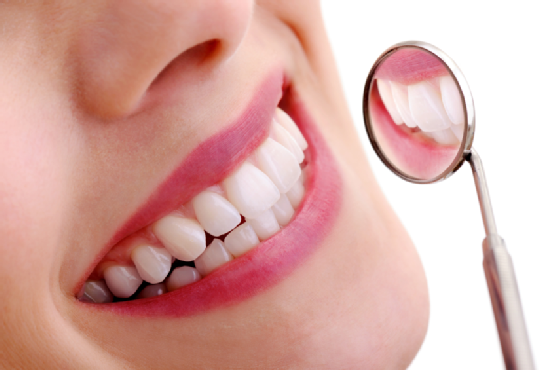 Contacting a gum disease expert in good time is the first step in successfully dealing with the problem. Caught in the early stages, the disease need not cause any lasting damage. A good specialist will be able to help you with the best course of gum disease treatment, and it is important you contact them as early as possible to minimise the damage to your teeth and the underlying bone structure. Left untreated, the disease will start to eat away at the roots of your teeth and this is when the effects become irreversible. The place to start is by contacting your own dentist. A reputable dentist should advise that you undergo a gum disease screening at least once a year as part of your regular checkups. 1) When you brush your teeth, you notice the presence of red or pink tinge appearing on your toothbrush. It’s important to note that these symptoms may not all occur at the same time, however, most of them manifest in the early stages of the disease. Although the above symptoms of gum disease are easy to spot, many people ignore them, thinking they will go away or sort themselves out with time. This is not the case. 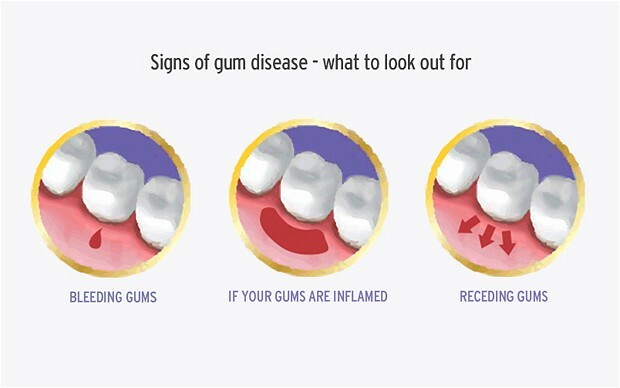 As a gum disease expert myself, specialising in non-surgical correction of periodontitis and gum disease, I cannot stress enough how important early detection and gum disease treatment is to the overall prognosis of the disease. The good news is that this condition can be fully treated, without painful surgery, and you can attain full recovery and regain a totally healthy set of teeth. However, only if you seek early medical attention. Your dentist will probably be the best person to advise you on the early signs, however, for more advanced cases, gum disease treatment is best administered by a dental expert who specialises in periodontitis. Your periodontist or gum disease specialist will be able to advise you on the best method of gum disease treatment for you, depending on the diagnosis and the extent of damage. Remember, don’t ignore the early signs of the disease and get in contact with your dentist or a specialist gum disease expert as soon as you can so that no lasting damage is caused to your teeth or gums.